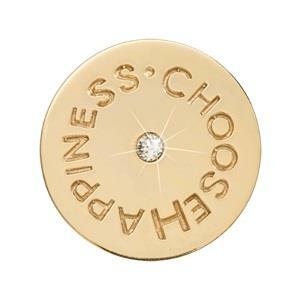 This yellow gold nano-plated 'Choose Happiness' coin has a lovely mantra engraved on it, with a glistening crystal in the centre. Ideal as a self purchase or as a thoughful gift for someone special. This is a small 23.6mm coin designed to fit in the 25mm pendant.